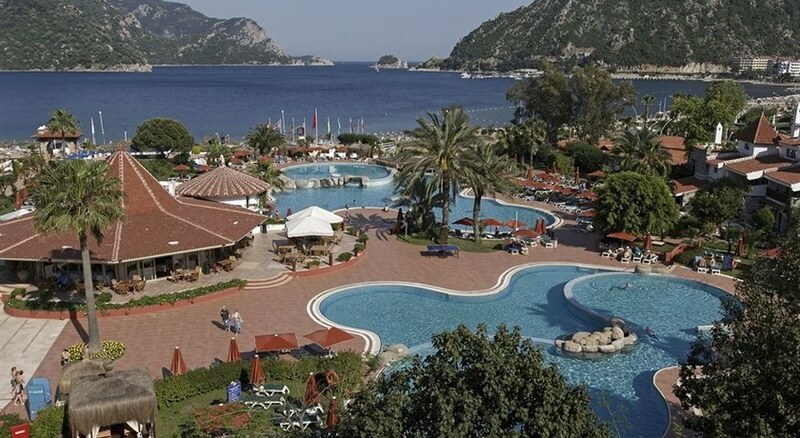 The Marti Resort Hotel is an upscale hotel set opposite a fantastic beach in Icmeler Turkey. The hotel has its own private beach area and houses multiple swimming pools, lined with lounge chairs and sun umbrellas. 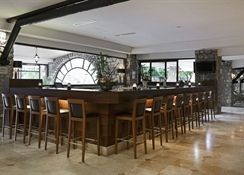 The hotel features four restaurants, two snack bars and three bars that serve a wide range of delicacies along with alcoholic and non-alcoholic beverages. With 280 guestrooms, suites and villas, the resort hotel is among the best in the region. The proximity of the hotel to Icmeler and the beach makes it an ideal destination for vacationers looking for a fun-beach holiday in Turkey. The Dalaman Airport is about 103km from the Marti Resort Hotel. The beach is only 100m from the hotel complex. The town-centre of Icmeler is 950m away from the hotel complex. Local landmarks and tourist attractions such as the Marmaris Marina, Dancing Fountains, Marmaris Museum, Marmaris Atlantis Waterpark, Marmaris Beach, Aqua Dream Park, Bar Street Marmaris, Ataturk Park, Marmaris 19 May Youth Square, Marmaris Mountains, Mustafa Kemal Ataturk, Ancient City Amos, Dolphin Park Marmaris, Turunc Sahil, Onmega Dolphin Therapy & Activity Centre, Marmaris Balevi, Amos Beach, Kervansaray Turkish Night, Wednesday Market, Carian Trail, Turunc Pazari, JMTurkey and Marmaris Travel Centre, among others are easily accessible from the hotel complex. The Marti Resort Hotel has 280 ornately done rooms, suites and villas featuring modern and contemporary architecture, providing guests a lavish stay. 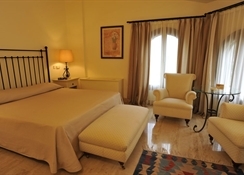 The rooms are categorised into eight types based on amenities, space and number of occupants. Sea-view deluxe room, pine-forest view deluxe room, deluxe suite with one bedroom, deluxe suite with two-bedroom, sultan's suite, duplex and single story villas with one-bedroom, deluxe duplex villas with two bedrooms and presidential suite are offered here. The guestrooms are equipped with facilities and amenities like balcony, wooden parquet floors, air conditioning, fire alarms and water sprinklers, safe box, satellite LCD TV, Wi-Fi, telephone, hairdryer, shower, bed linens, upholstery, bath linens, etc. The Marti Resort Hotel houses four restaurants, two snack bars and three bars that serve a wide range of delicacies, of both Turkish and other international cuisines, along with alcoholic and non-alcoholic beverages. Kapadokya Buffet Restaurant with a Terrace, Teras Turk-Turkish à la carte Restaurant, La Grotta-Italian à la carte restaurant, Otag Asia-Asian a'la carte Restaurant, Paisserie, Otag Snack Bar, Oriental Bar, Casanova Bar and Tiki Beach Bar and Restaurant are the outlets available at the restaurant. The Marti Resort Hotel houses multiple outdoor swimming pools for both adults and children, which serves as a great spot for recreational activities like pool games and refreshing swims. The pool is lined with loungers and sunbeds for guests to relax and sunbathe while enjoying a refreshing drink. They can also have a similar experience at the private beach area. The hotel also has a hobby club, sauna, gym, facilities for beach volleyball, table tennis, tennis, basketball, Hammam, basketball, etc. The staff here regularly organise evening entertainment shows. Guests can also try water-sports or indulge in leisurely sunbathing at the Icmeler beach, which is close to the hotel complex.